2017 is set to be the year where web trends will transition from mobile-first prioritisation to mobile-only. The soaring rate at which digital users are preferring to engage with their mobile devices over traditional desktop and laptop computers means it’s time for websites to sit up and pay attention. Naturally, Google has already taken notice and incorporated the shifting trend into its algorithm. 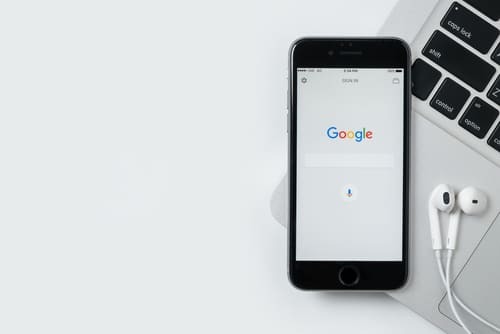 Last year the search engine introduced AMPs – Accelerated Mobile Pages – which can be described as super-fast loading, ultra-mobile friendly pages specifically designed for our smartphones and tablets. The changes come in direct response to the rapid inclination of mobile users in recent years. One only needs to observe our day-to-day lives to acknowledge just how firmly we have attached ourselves to our mobile devices; however, to substantiate these claims, we’re inspecting some of the latest statistics. Towards the end of last year, Zenith Media forecasted that mobile devices will propel 75% of web traffic in 2017. This is an enormous increase when compared to the meagre 40% of mobile web users just five years ago. Looking towards the future, the same reports predict more money will be poured into mobile advertising than any other form of media by next year, with the US set to invest a whopping $134 billion into this channel of marketing. The new framework is different to the standard mobile-friendly guidelines Google has previously implemented. Essentially, it will require site templates to accommodate brand new restrictions – for instance, all AMPs must be in-line and no more than 50KB. There will also be explicit measurements for images, while custom tags will be required for embedding locally-hosted videos and other content. Such elements are designed to enable a speedy, convenient and extremely user-friendly web experience. After all, Google is all about convincing digital browsers to hang around a website rather than bounce in search of something more suitable. Though the new trend only rolled out in 2016, Google’s News Box has already been flooded with AMP articles this year. India, for instance, jumped from 0% AMP news results to 100% in January alone, thereby leading the way on the global ladder. Japan has also embraced the new trend, with almost half of its news articles being optimised for AMP. Clearly, the need to favour mobile devices when attracting online audiences is proving prevalent. If you haven’t created a mobile-friendly experience for your end user yet, it’s time to get on to it, lest you risk your current position on Google. Take the first step by testing whether your website is mobile-friendly, then if you’re ready to take things further, check whether it’s AMP-optimised. By getting on top of the soaring mobile trend now, you can ensure best-practice SEO to safeguard your business’s online presence. articles. Keep up the good work! You know, lots of people are looking round for this information, you can help them greatly.